The outstandingly beautiful island of Tanera Mr is on the open market through CKD Galbraith's Inverness office with a guide price of 2.5 million. 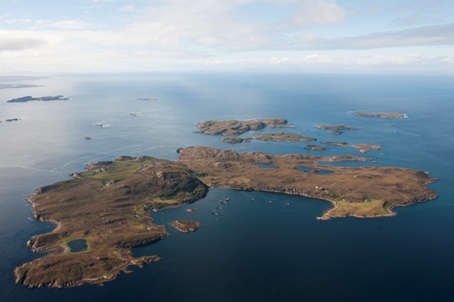 At 800 acres, Tanera Mr is the largest and only inhabited island in the Summer Isles archipelago, a group of stunning islands lying off the north-west coast of Scotland. 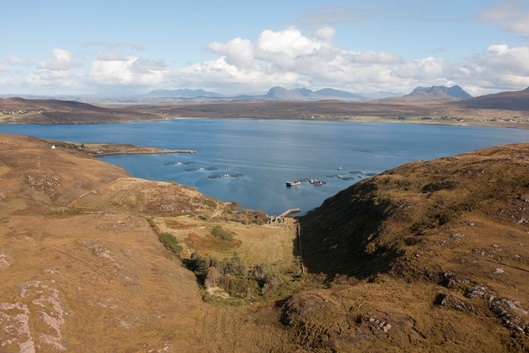 Tanera Mr has always been the most significant of the islands, its freshwater lochans and sheltered, deep anchorage providing a safe stopover on northward sea journeys in days gone by, before the nearby mainland port of Ullapool was established. The current owners, the Wilder family, bought the island in 1996 and have been resident ever since. The island is currently managed by their daughter Lizzie and her husband Richard Williams. Their ethos in managing Tanera Mr has been that of minimising interference with the natural ecology whilst using its existing assets to create a successful tourism business. The Wilder family, very much part of the local community, decided to hold discussions with the local Coigach Community to establish whether they would be interested in buying the island, before offering it on the open market. 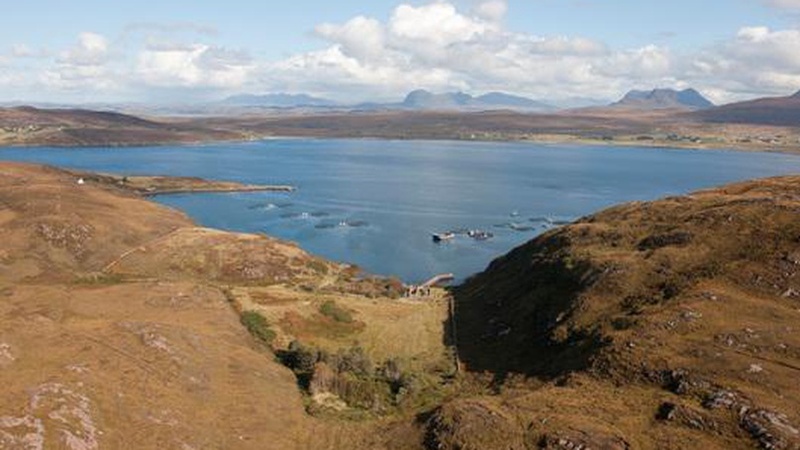 After careful consideration, the Coigach Community Development Company decided not proceed with the opportunity, due primarily to the number of projects that they are currently managing; these include two micro-renewable energy projects and the recently completed community purchase of the former Achiltibuie Smokehouse. 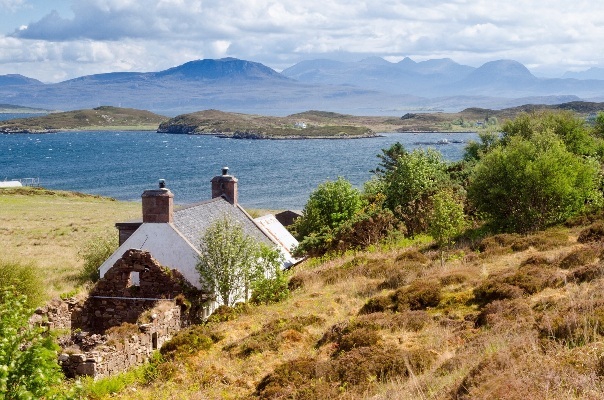 The community greatly welcomed the family's enlightened approach in offering them the chance to buy the island and have expressed their strong desire to support and collaborate with any new owner, recognising the social and economic impact that Tanera Mr has on the whole Coigach peninsula. Lizzie Williams said: "After many happy years of calling Tanera home, it is time for someone else to have the privilege of looking after this amazing place. We greatly appreciate the effort made by the local Coigach community to consider the opportunity of taking on Tanera and we fully understand their reasons for deciding not to. We hope that whoever owns the island in the future will enjoy the same warm and co-operative relationship with the community that we have for the past 17 years." Under today's successful management, Tanera Mr is a flourishing tourist enterprise and superb family residence. The principal house - The Old School House - boasts breathtaking views over the sheltered Anchorage and magnificent mountains of the mainland. Over the past 15 years the Wilder family have undertaken a woodland regeneration project, planting over 164,000 native trees. This combined with the use of selective livestock grazing has created lush green pockets across the island, encouraging wildlife to thrive. The established holiday letting business, comprising six properties (with the potential to add a further two properties) has been expanded in recent years to include residential creative and active courses. In addition there is a Royal Yachting Association recognised sailing school which operates throughout the summer months. The Caf and Post Office operate from a former boathouse and are open for seasonal daily visits by tourist boats from Ullapool and Achiltibuie as well as cruise boats, yachts and sea kayakers. The Summer Isles Post Office located on Tanera Mr is notable for issuing its own postage stamps, with this year's new edition released on May 9th. John Bound, of CKD Galbraith, said: "The chance to own your own Scottish island is extremely rare and with Tanera Mr's thriving tourist enterprise coupled with being a truly spectacular place to live, we expect to receive a lot of interest as it goes on the open market. "With on-going support and commitment from the local Coigach community, Tanera Mr offers a truly fantastic prospect for interested parties who will very much have the island's heritage and sustainability at heart as well as a fantastic life style." Tanera Mr was the location that provided inspiration for Frank Fraser Darling's book Island Farm. Having come to live on the island in the late 1930s, Frank Darling studied the habitat of its bird colonies and reclaimed derelict land to agricultural production. His time on the island has left an important legacy through his detailed records along with his influence on the current management of the land and the magnificent Tigh-an-Quay stone pier, which he and his wife Bobby rebuilt by hand. Tanera Mr is being offered for sale with a guide price of 2.5 million. Find out about this property or contact John Bound in our Inverness office.